This is a great package for those who want to shoot a wedding with Canon's elite full frame camera and the best zoom lenses Canon offers. 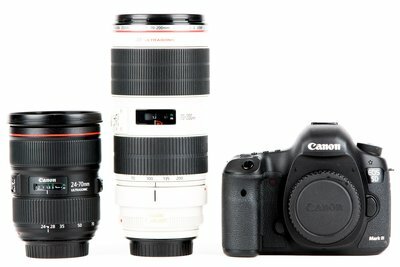 The whole package includes the very impressive Canon 5D Mark III, 24-70 2.8L II and 70-200 2.8L IS III. This package is also fantastic for travel photography and basic portraiture. Feel free to add in other gear like a flashor CF cards or SD cards!